It makes sense - given that the weekday morning reviews are coming to an end after next week - to let Sunrise viewers sample the evening guests. If they like paper reviews that much, steering them towards the (frankly-much-more-substantive) evening show is a reasonable strategy. That and... a week before possible no-deal, crash-out Brexit... who, at this point, is asking: "I wonder what Kriss Akabusi thinks of this?" You could have just posted that yourself, Max. I'm not 100% sure of the reason why, but logic would suggest that with the morning reviews ending after next week, it's sensible to let Sunrise viewers sample what our evening reviewers have to offer. Oh, and Andrew and Kevin will be with me tomorrow night. It’s nice but I imagine would be considered too similar to Sky Sports. Nicer than what they ended up with. Maybe when Brexit is over in 2027 they’ll finally refresh the existing graphics package. Bear in mind, it is newer than the BBC and ITV’s packages by 2 years. Google quite often picks up mocks from this site and then decides to use them in search results, usually followed by getting totally confused when a human gets involved as to what it should be showing for a while. Adam Boulton just welcomed viewers of the 11am TOTH to 'Sky News Today'. First time it's been referred to as that on air in recent years? 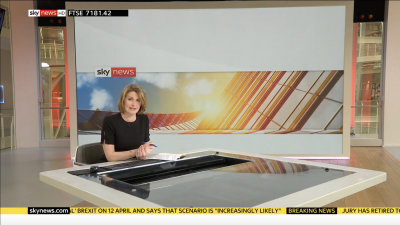 Sky EPG lists it simply as Sky News, however I thought it had been rebranded as 'Lunchtime Live' when Ian King Live moved to 1:30? 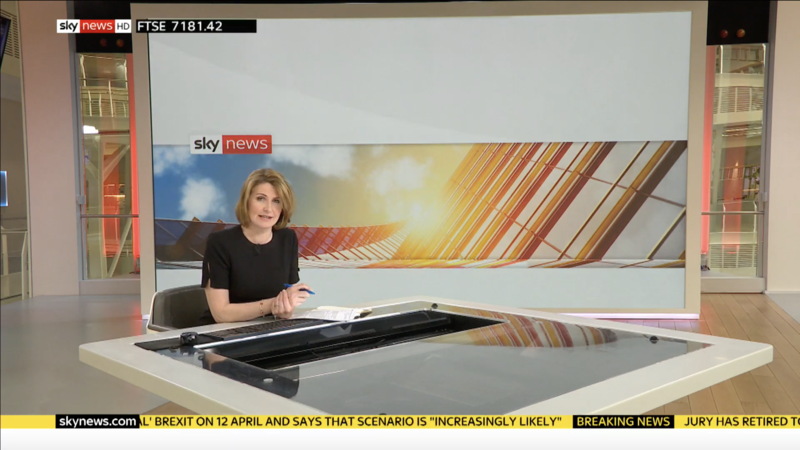 If they don't want it to be a simple Sky News block they really need to settle on a title and actually call it that on air. EDIT: Seems to be a new graphic in use for the block as well. I note both Jane and Carrie on BBC News are in black. Are we expecting something or just a nice day to wear black?